Posted By Roger Hogan On December 29th 2010. Under Blog . If you want to change your freelance occupation into the full-time one, that won’t be easy at all. Your achievements may seem to be doubtful and every HR manager will dislike your lacking experience in team working. Resume writing will be another problem for you. Many HR managers can’t decipher the resumes of freelancers, because they have strange styles and are structured not as common resumes. So if you decided to get a full-time job, learn some advice for resume writing. Writing a resume, make sure you’re specific about your experience in your resume and cover letter. Show what you’ve done during you freelance career in a result-oriented way. Companies will look at that more favorably because it’s hard to analyze your experience when you just say that you’re an accountant, for example. When writing a resume, try to answer the following questions: “What did you do?” And “What did you accomplish?” Even if your projects were short, list them in your resume. 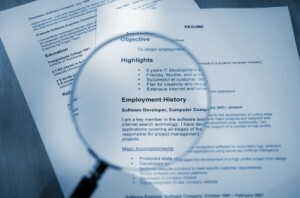 When writing your resume, list the skills and qualifications in the order of their needs. That is you should analyze the skills required for the position and organize your resume respectively. If you don’t have the right key words for that specific job, you might get bypassed, regardless of the experience you have. And since you are accustomed to working on your own, get ready to provide examples of collaboration, including how you’ve worked with clients, vendors and other third parties. If you’ve done community work with use those examples to show you’re a team player. Finally, don’t shy away from promoting the skills that have made you a successful contractor. Successful free-lancers are typically driven, hardworking and independent, which are qualities that youshould emphasize. That’s why if you are a freelancer who wants to get a full-time job, try hard to write your resume. Or, probably, address to experts who will do the entire resume writing for you and make you a desirable worker for any company!